A: Hello, I was informed about your emergency work order. B: Yes please come in. My bathtub drain is clogged. A: Ooh, the bathtub is clogged from all the hair getting stuck in the drain. I pulled out a clump of hair that was stuck in the bathtub drain. Please use a drain net next time. A: 안녕하세요, 긴급 수리 요청을 받아서요..
B: 네, 어서 들어오세요. 저희 집 화장실 욕조가 막혔어요. A: 어디 제가 좀 보죠. A: 배수구에 껴있는 머리카락 때문에 욕조가 막혔네요. 제가 욕조 배수구 안에 엉켜있던 머리카락 한 움큼을 빼냈어요. 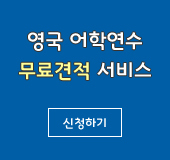 다음에는 배수구 머리카락 거름망 꼭 사용하세요. My bathtub drain is clogged. 무엇인가가 막혔어요, ‘Something is clogged’로 표현할 수 있는데요, 예문을 통해 알아볼까요? 욕실 세면대가 막혔어요. My bathroom drain is clogged. 변기가 막혔어요. My toilet is clogged. 반대로 ‘막힌 것을 뚫다’ Unclog, 로 나타낼 수 있는데요, ‘나 변기 뚫어야 해!’ ‘I need to unclog my toilet!’ , ‘변기 좀 뚫어 주세요!’ ‘Help me unclog the toilet.’ 할 수 있습니다. 또 동사 ‘clear’를 쓸 수도 있는데요, 그래서 ‘하수구를 좀 뚫어 주세요’, ‘Please clear the drain!’ 할 수 있습니다. my bedroom ceiling is leaking. My light bulbs burnt out. I don’t have any hot water! The light is flickering on and off. The bathtub is clogged from all the hair getting stuck in the drain. 욕조 배수구에 끼어있는 머리카락 때문에 물이 안빠져요. ‘Stuck’은 ‘~에 빠져 움직일 수 없는, 꼼짝하지 못하는’ 이란 뜻이 있고요, ‘get stuck’하면, ‘~무엇 무엇이 끼어 있는’ 이란 뜻인데요, 그래서 욕조 배수구에 끼어 있는 머리카락 때문에 욕조가 막혔다는 뜻입니다. 그러면 stuck 이나 get stuck 일상생활에서 언제, 어떤 상황에서 쓸 수 있는지 알아볼까요? ‘차가 너무 막혀’, 할 때 이 ‘stuck’ 이란 표현 쓸 수 있는데요, ‘차가 너무 막혀서 꼼짝 못하고 있다,’ 영어로 ‘I’m stuck in traffic’ 할 수 있죠! 또 ‘어떠한 것이 이에 꼈다’ 할 때도 이 ‘stuck’이라는 표현 이용해서 나타낼 수 있는데요, 예를 들어 ‘땅콩이 이에 꼈어’, ‘Peanut got stuck in between my teeth’ 할 수 있죠! ‘욕조 배수구에 낀 머리카락 때문에 욕조가 막혔다’, 영어로 ‘the bathtub is clogged from all the hair getting stuck in the drain’라고 했는데요, ‘from’ 대신에 ‘with’, 를 넣어 the bathtub is clogged with hair 라고 할 수도 있습니다. Ex) 휴지를 너무 많이 넣어서 변기가 막혔어요. The toilet is clogged with a large piece of toilet paper. 씽크대가 음식물 찌꺼기 때문에 막혔어요. Kitchen sink is clogged from/with food residue. 머리카락이 서로 엉켜있는 것을 ‘a clump of hair’라고 표현했죠! Ex) 저기좀 봐 누가 휴지 한 뭉텅이 쓰고 저기다 놨어! Oh, that’s so gross! There is a clump of used tissue over there! Yuck!